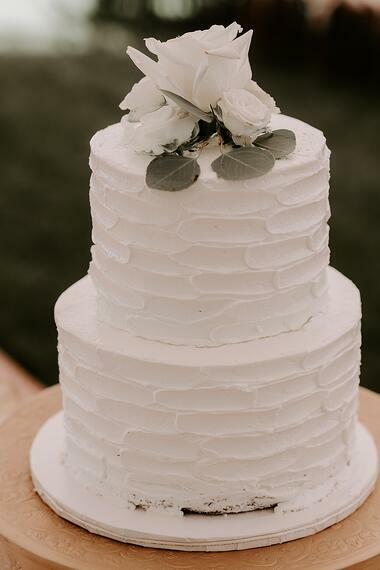 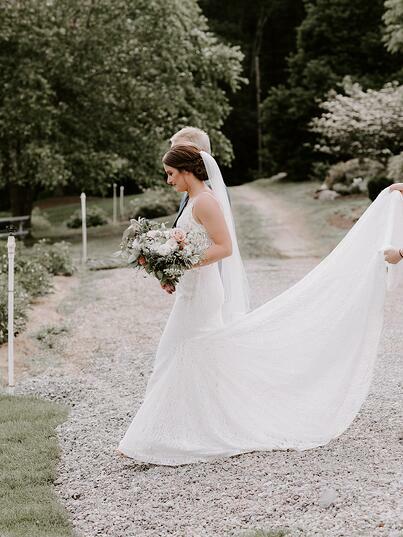 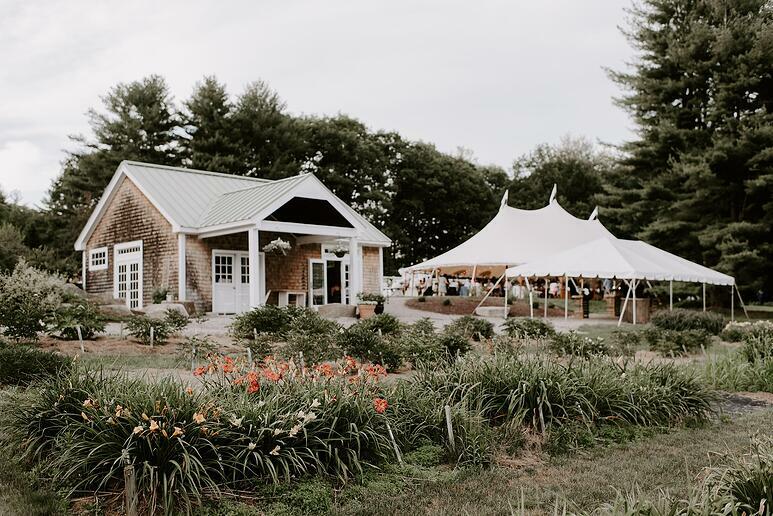 Ashley and Nick’s wedding took place at the Gardens at Uncanoonuc Mountain, a 15-acre garden estate tucked halfway up the south slope of the North Uncanoonuc Mountain. 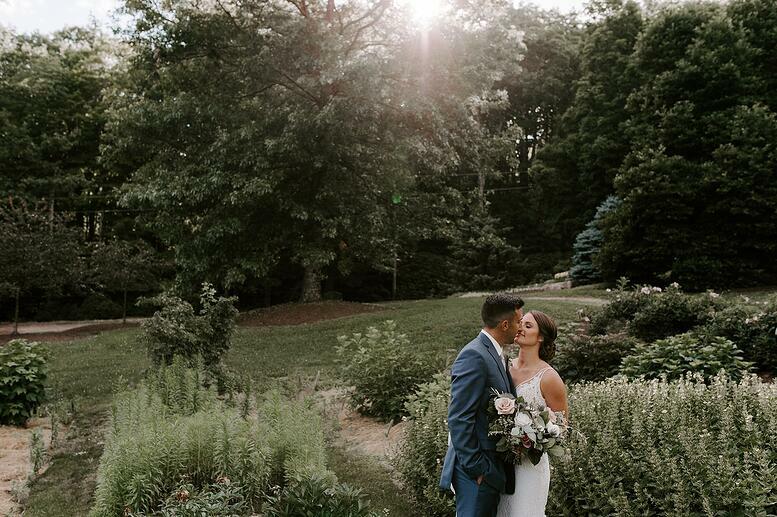 The flower gardens were in peak season, providing the perfect backdrop for their wedding. 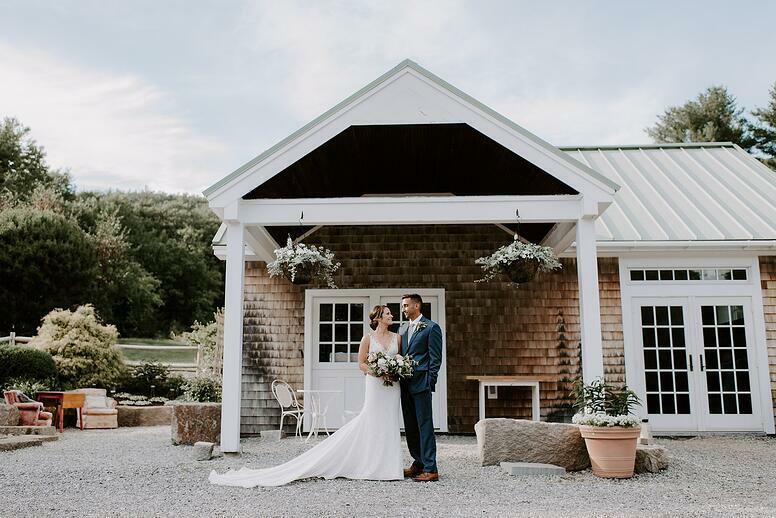 With a soft muted color palette and romantic floral designs, every detail came together beautifully and boasted of timeless elegance. 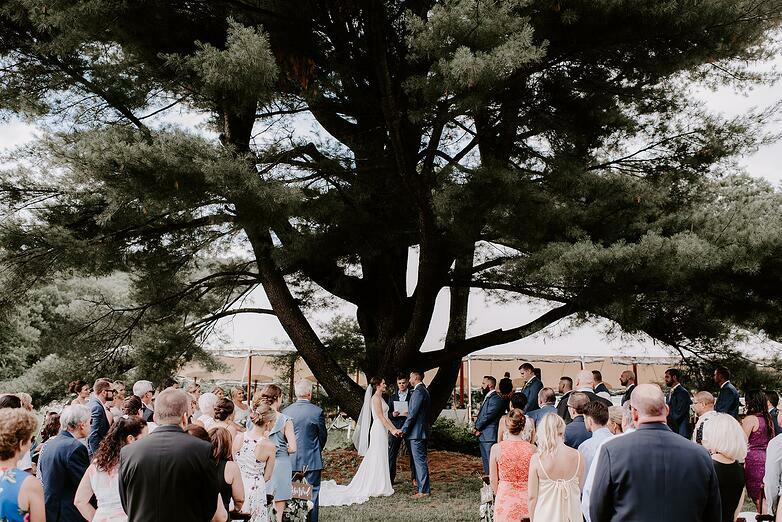 The ceremony took place under the large oak tree near the cottage. 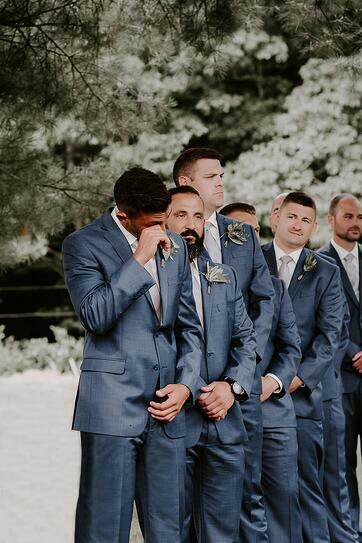 Our hearts all melted when we saw Nick's reaction as Ashley made her way down the aisle. 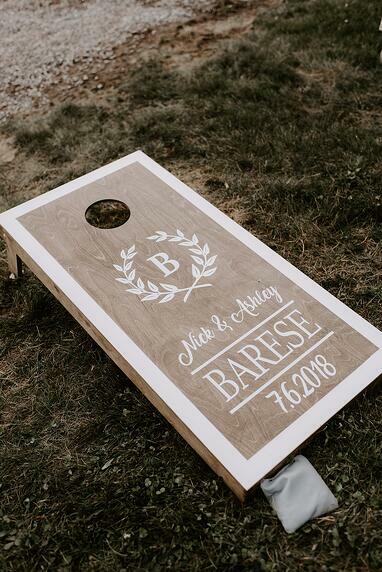 Following the ceremony, guests enjoyed lawn games, cocktails, and appetizers in the pine grove. 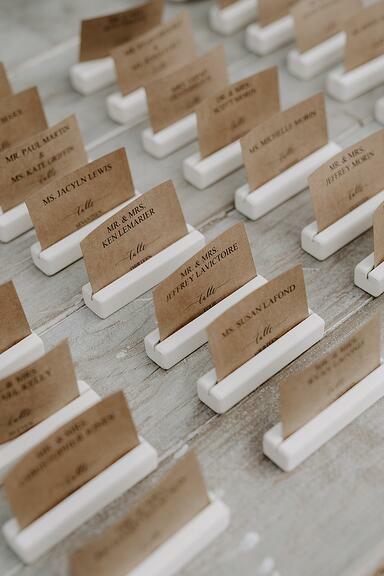 While guests mingled, servers passed mini flatbread pizzas, chicken fingers, and cocktail sliders. 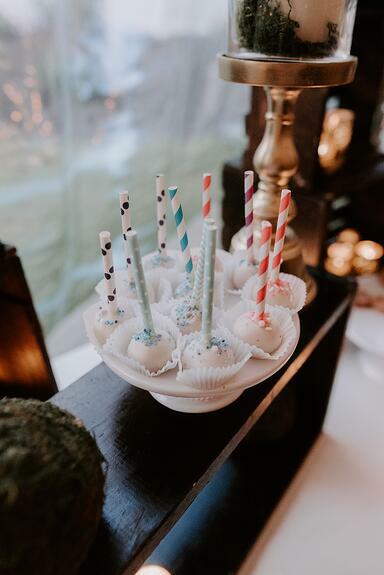 Guests loved the comfort classic bites! 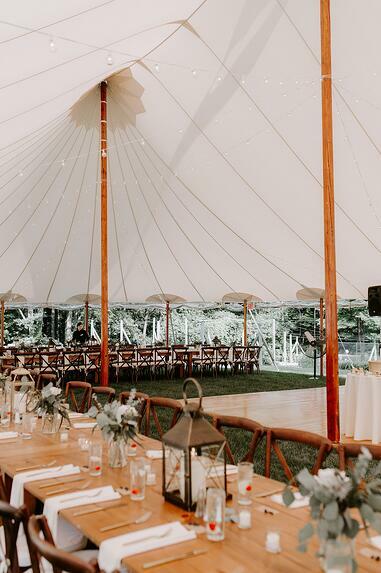 For the dinner reception, guests dined at farmhouse tables set-up communal style under the large sperry tent. 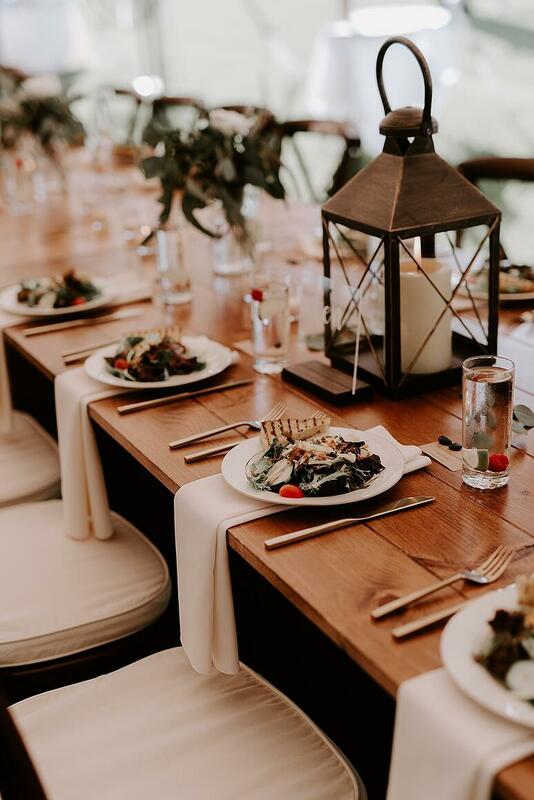 The tables were adorned with lanterns, soft ivory napkins, mercury votives, and green/white floral arrangements, creating a romantic rustic feel. 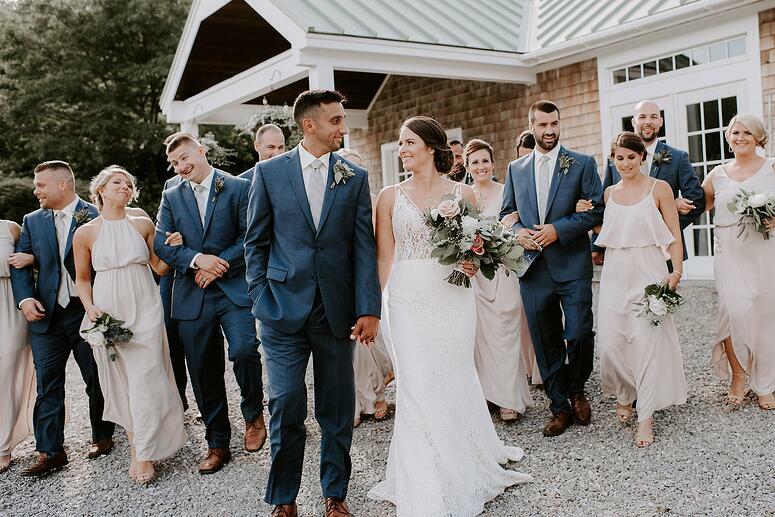 The entire evening was filled with love, laughter and unforgettable memories. 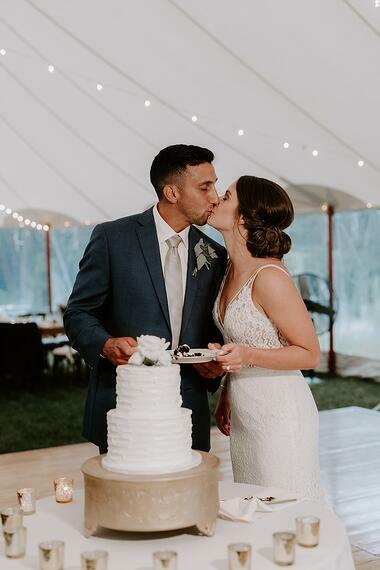 We were honored to be a part of their celebration!